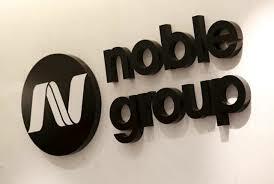 Noble Group’s $3.5 billion debt rescue plan was thrown into doubt on Thursday when Singapore authorities said they would block the re-listing of shares in what was once Asia’s top commodity trader. The company, whose shares were suspended from trading last month due to the restructuring, wants to transform itself into an Asia-focused coal-trading business. Noble was looking to list the overhauled business as part of the restructuring, which is subject to regulatory approval, Noble said it intended to “take steps to preserve value for stakeholders, including through implementation of the restructuring by an alternative process”. It added that it had consulted with its group of creditors.